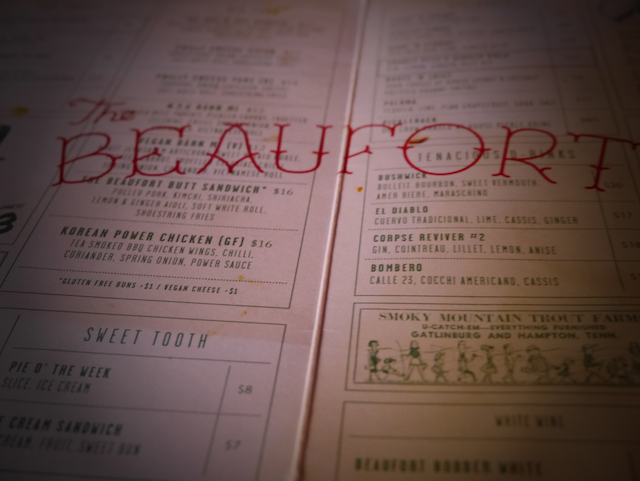 The Beaufort is a pub/restaurant in Carlton that Hollywood heard a lot about with regards to its great fried chicken. 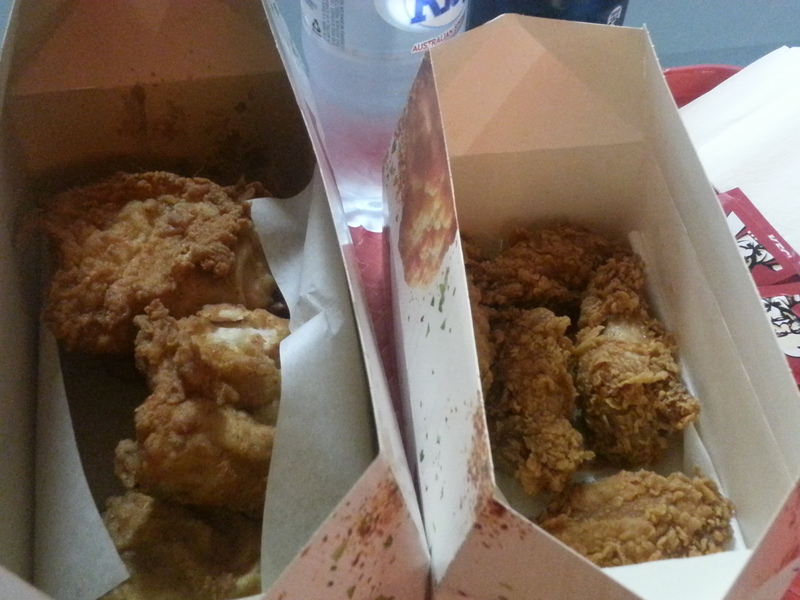 So naturally it was next on our list for another crispy Melbourne Fried Chicken adventure. 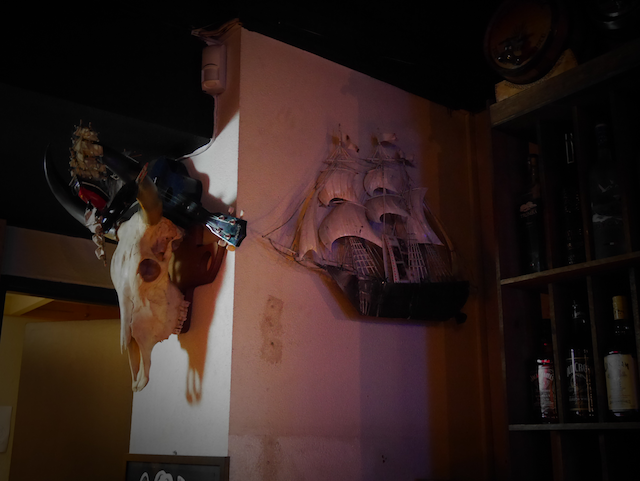 We arrived there and it had a fusion theme of Aussie pub meets American style bar with seafaring decorations on the wall. 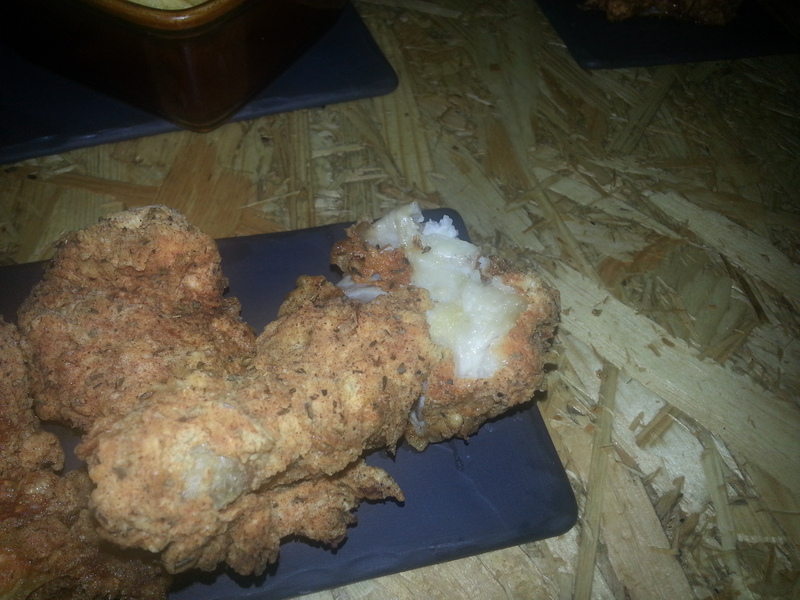 The fried chicken was on the specials board. We went through the menu and decided to go for an order of deep fried pickles with ranch sauce, the quinoa salad, the Out-N-Out burger (consisting of meat, cheese, mustard, ketchup, tomato, Spanish onion and shoestring fries on the side) and an order of the Southern Fried Chicken that came with a pico de gallo salad along with shoestring fries. 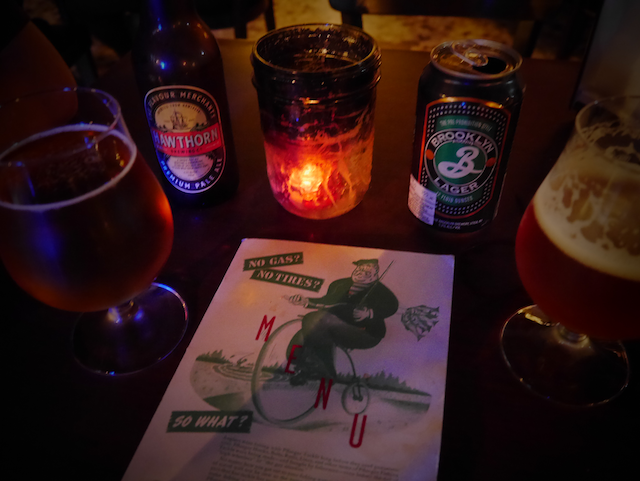 We got a couple of cool brews to get us in the right mood. 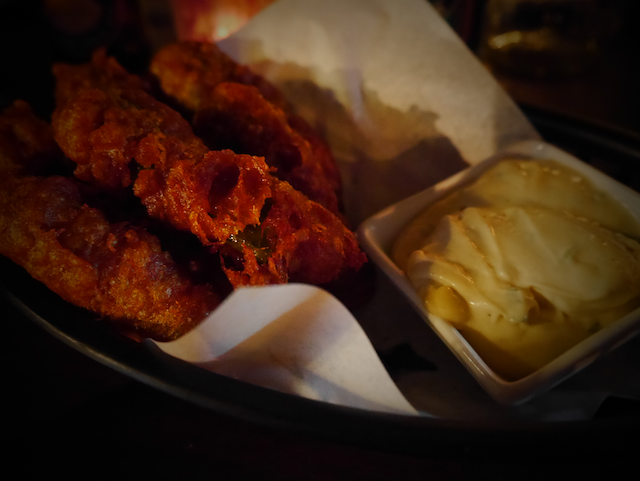 The deep fried pickles arrived first and were too hot to eat, so we stared at them longingly. 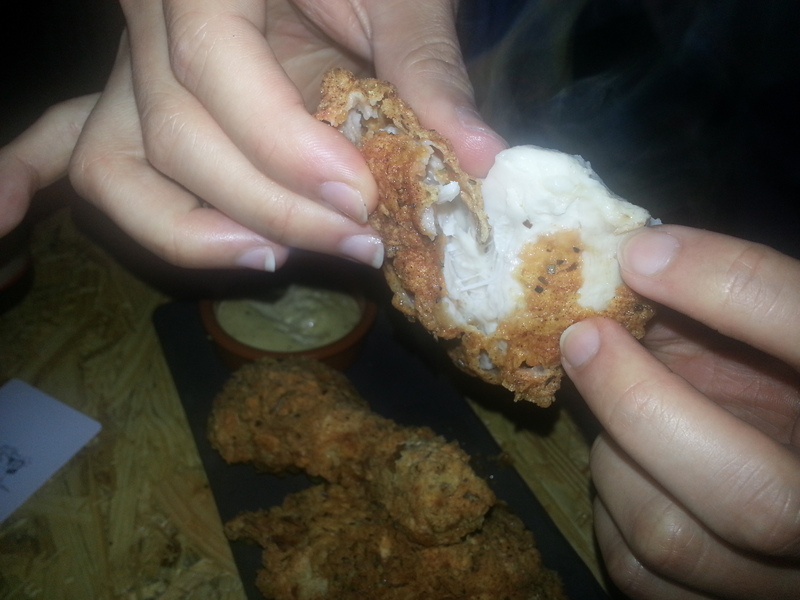 They were crunchy and had a strong pickled taste that sat very well with us. The portion was big which was good for Hollywood. 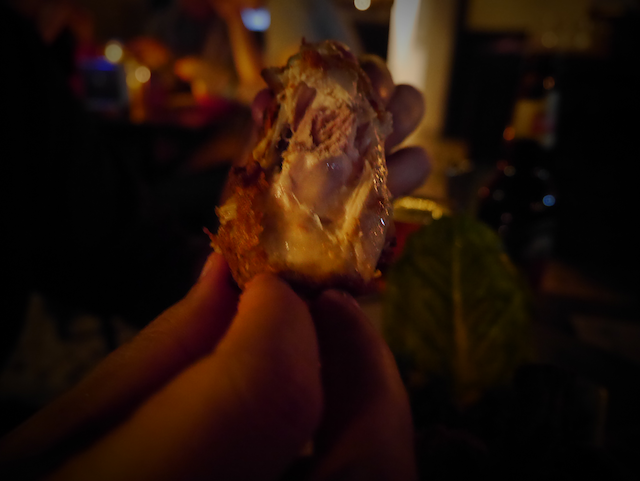 This was The Chick’s favorite of the night. 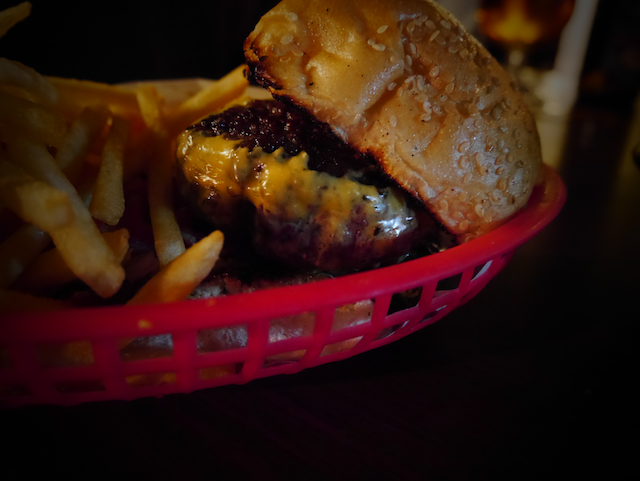 The burger was thick juicy and cheesy. 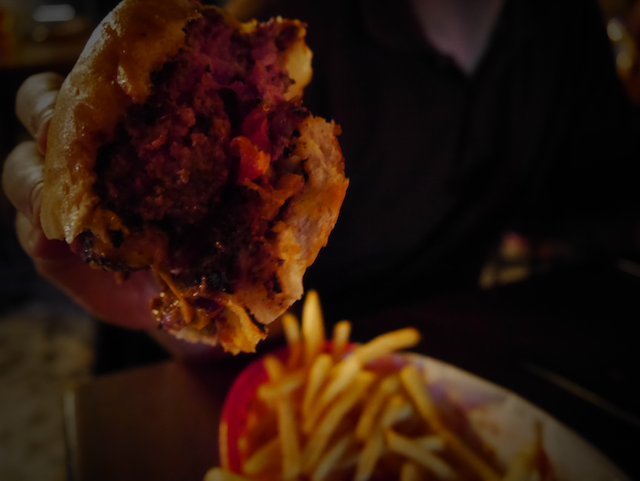 The mix of cheese, juicy meat and sauces made a very saucy experience which Hollywood really enjoyed. 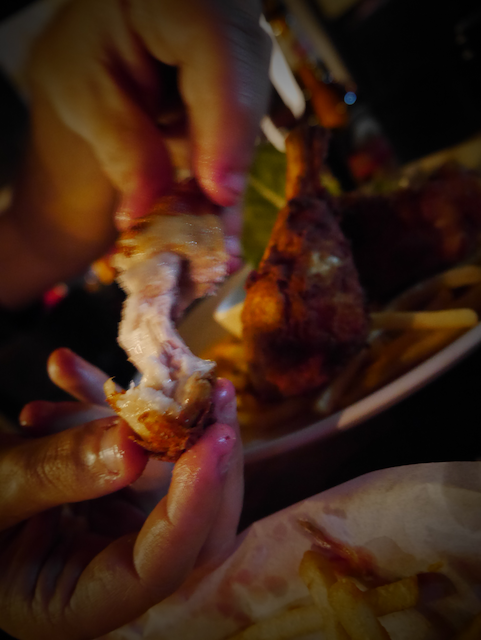 The Chick ate her share, but felt she’d had better, maybe just in contrast the awesomeness of the fried pickles. 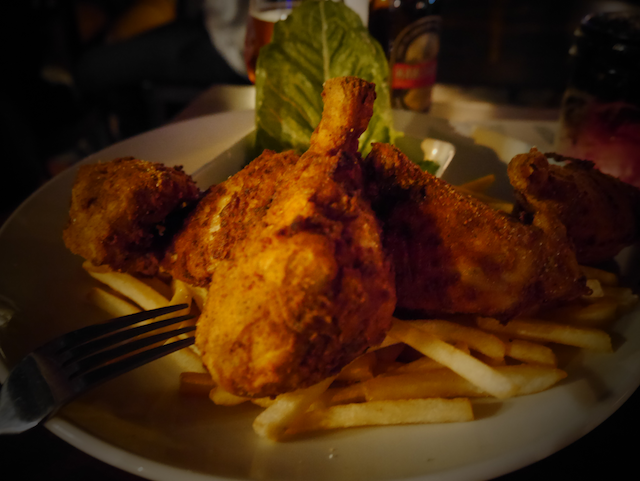 The main contender arrived next in a big basket with a huge bed of fries a bowl of pico de gallo salad and a mix of thighs and drumsticks of some crispy fried chicken. 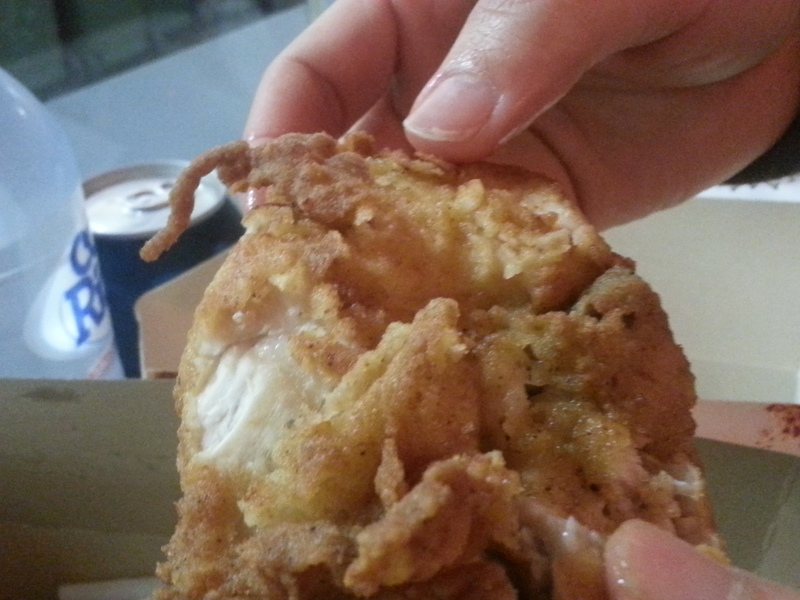 The chicken was fresh, hot and steamy. 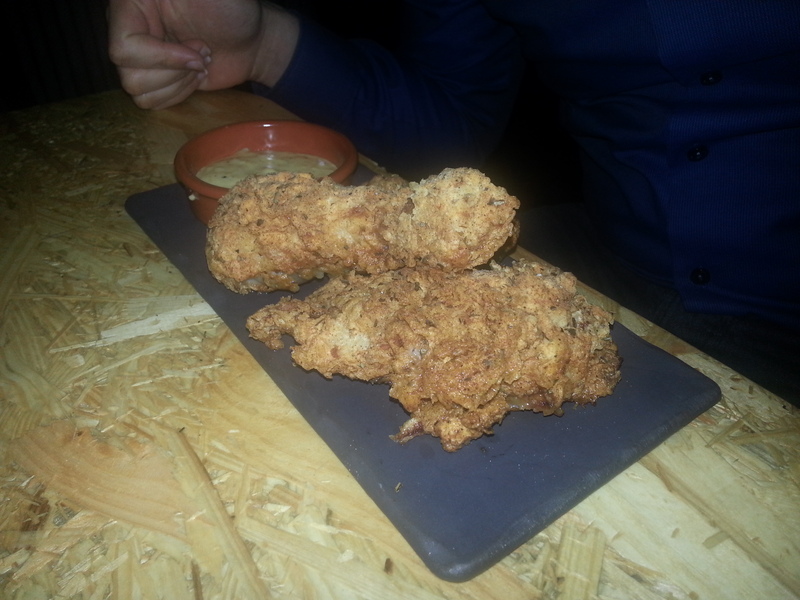 It was also very tender and had a prominent blend of spics that we really enjoyed. The coating/skin was single coated and spiced right. Hollywood is usually a fan of the double coating but found this style quite right. 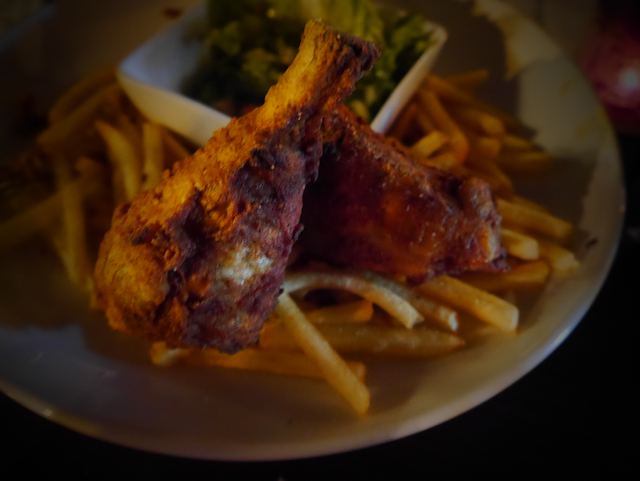 The only beef Hollywood had with this chicken is that there weren’t any breast/wing pieces. The accompanying salad was good and provided a contrasting fresh flavor. 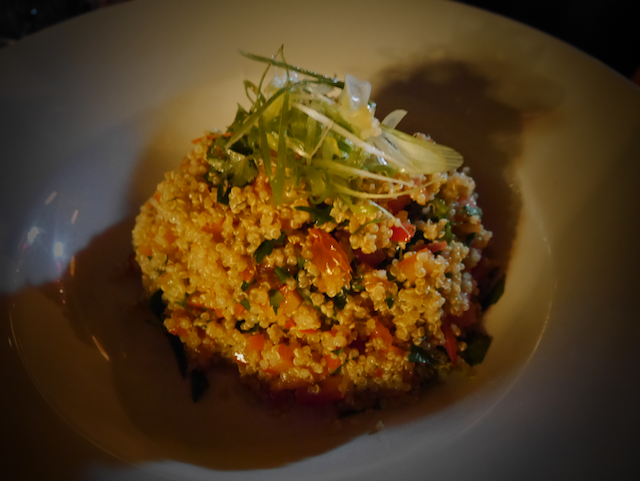 Last but not least, the quino salad accompanied with tomatoes was really great and had heaps of fresh flavors running through it and although we were really full we just couldn’t stop ourselves of completely smashing it even though we were already so full. 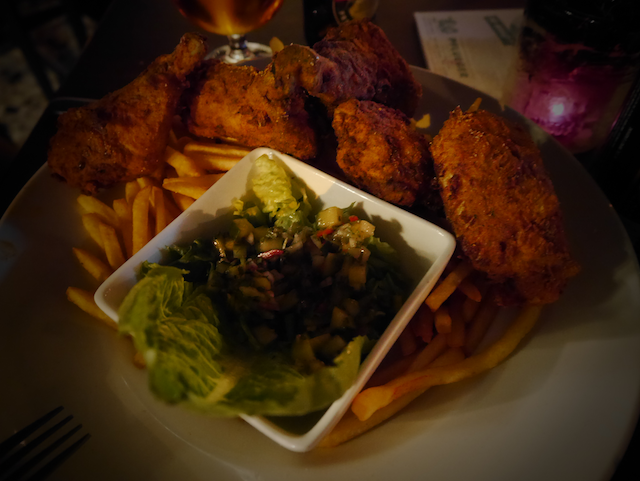 Who knew a pub with fried foods would do fresh salads so well! Overall The Beaufort is a great place to be. It is low key, targeted at the University scene and just a great place to relax and enjoy some amazing food. 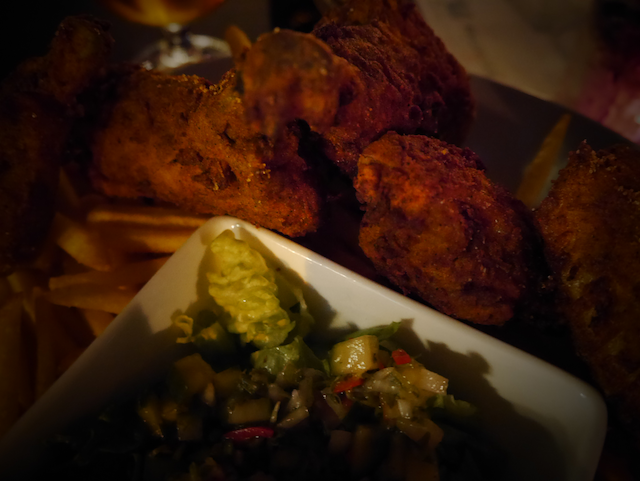 The chicken is really really good at the Beaufort and so are many other dishes. 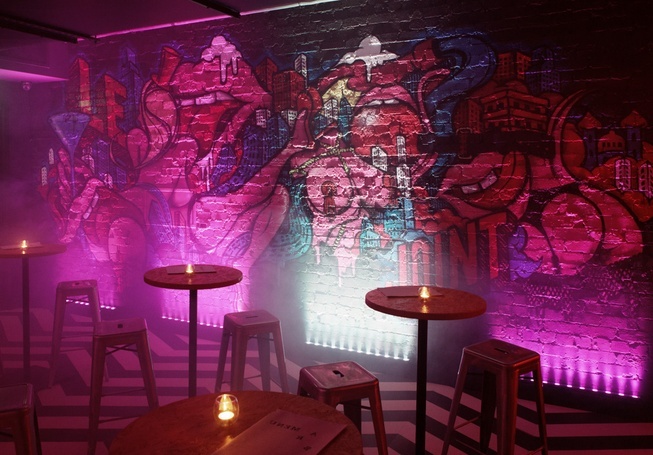 Definitely worth a visit or two or more…. 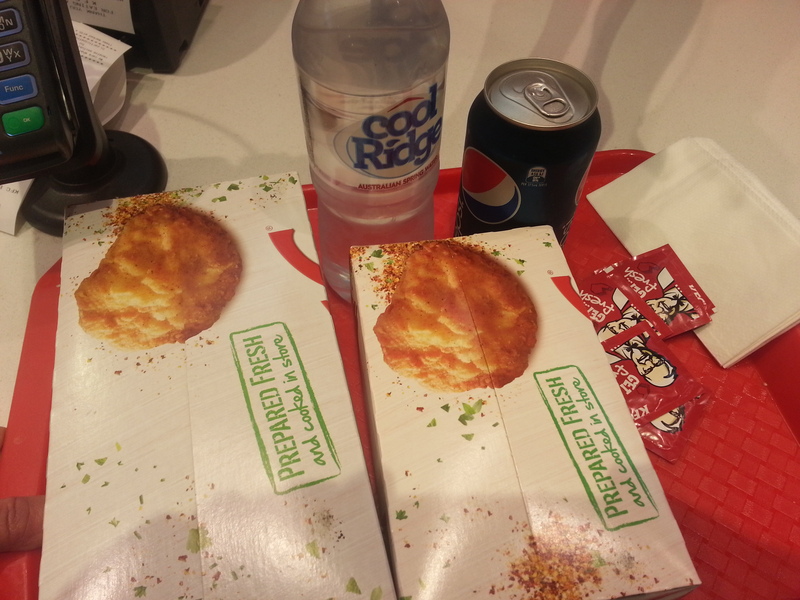 Hollywood and the boys were out on a friday night and were talking the big talk about having another visit to the colonel to check out how he competes with the Melbourne Fried Chicken scene. 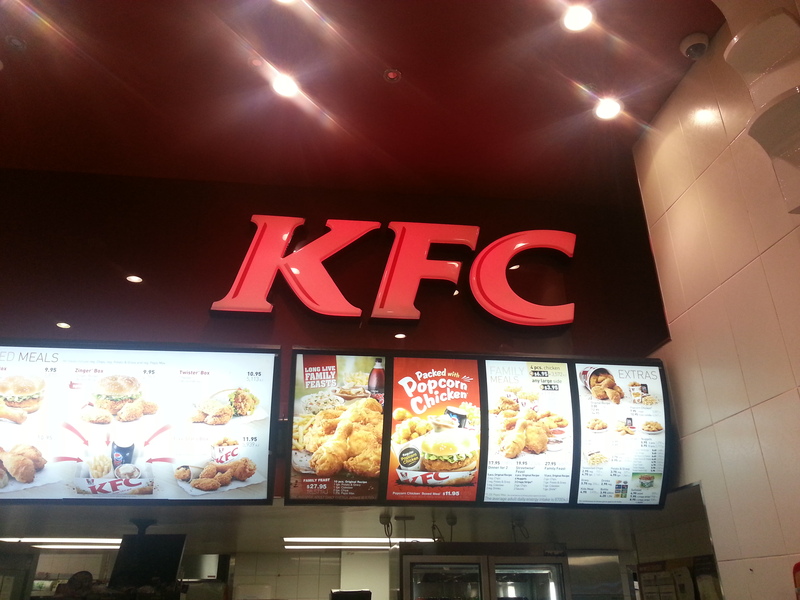 After a big night of drinks in some of Melbourne’s great establishments, Hollywood and CS (The Tan) ended up at KFC and had a very greasy adventure. 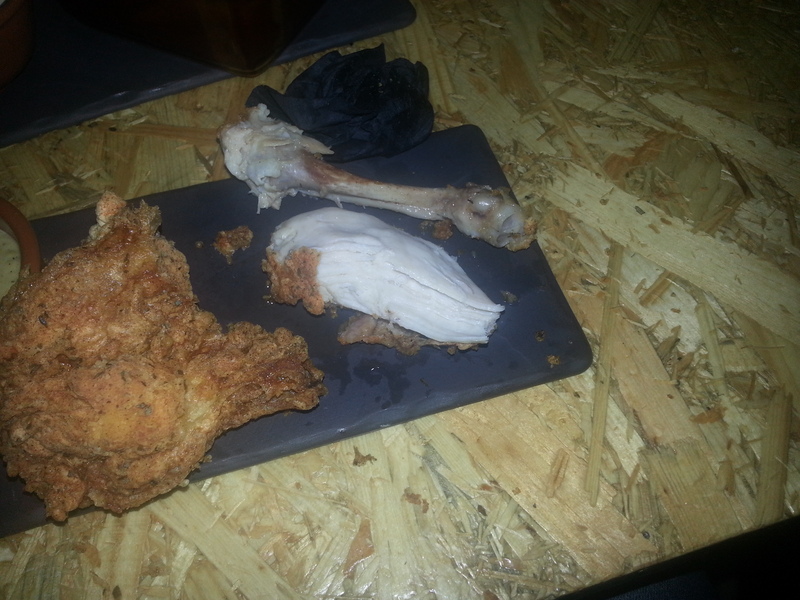 We ordered a few regular pieces and the wicked wings. 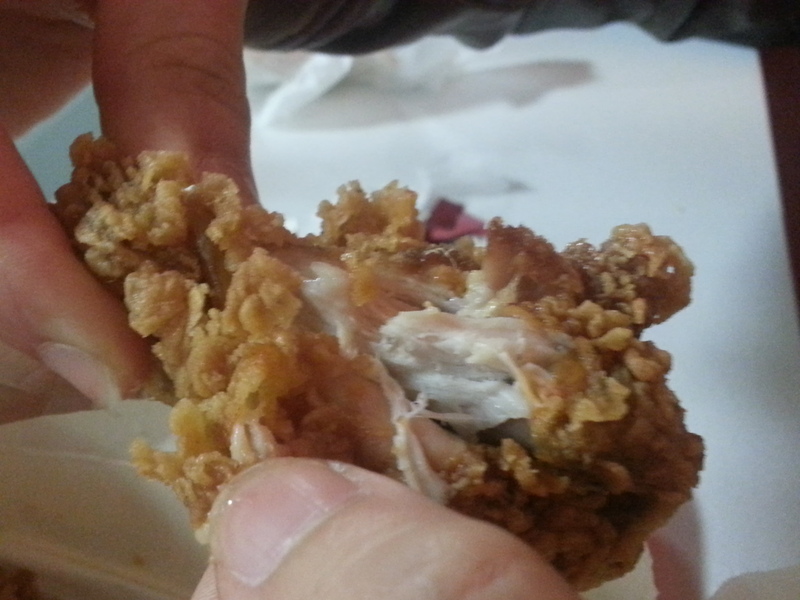 The regular pieces were very greasy and the wicked wings were ok.
Hollywood and The Tan agreed that this was a very bad experience and this is a dangerous place. There are far better options to consider. Do yourself a favor and skip this place. 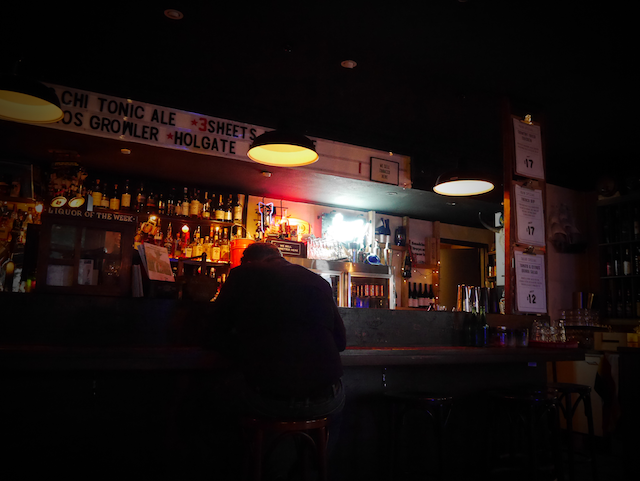 Le Joint was on Hollywood’s radar ever since it popped up on the webby web as a cool funky place with good burgers and chooks. 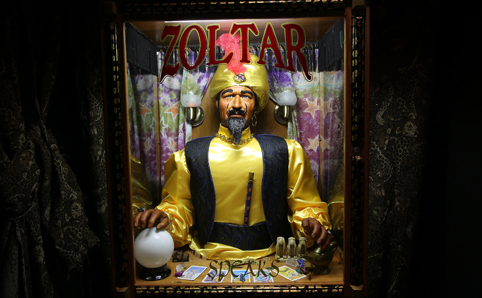 Also we all had an urge to get our fortune told by the one and only Zoltar! 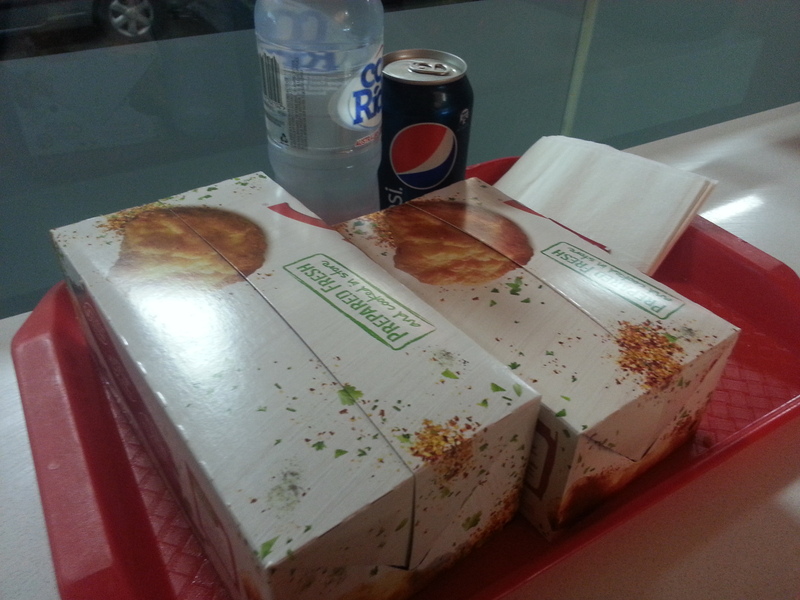 We reached there and got a few Dos Blockos beers and went for 3 orders of the southern fried chicken along with one serve of chips to share. 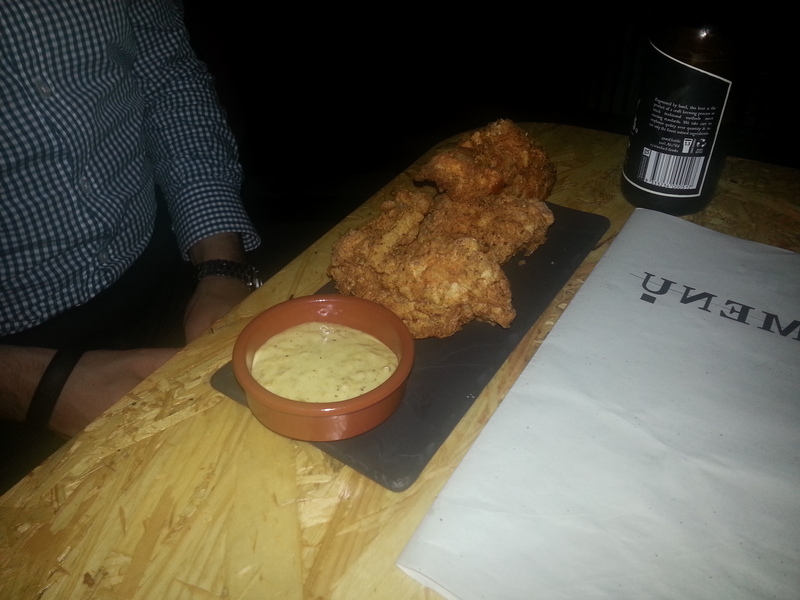 The chicken arrived in a portion of 3 pieces accompanied with a corn aioli dipping sauce. 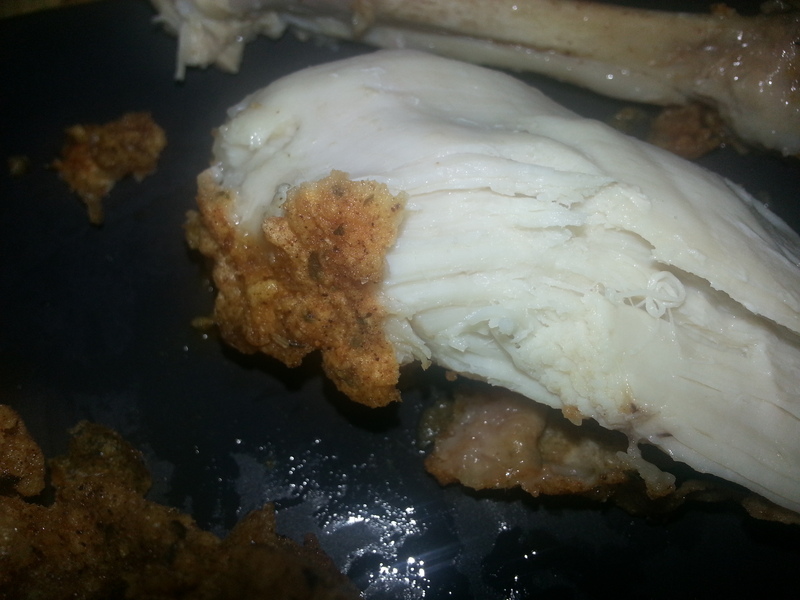 We struggled a bit to start as the pieces were steaming hot which was a good testimony to how fresh the chooks were. They were lightly spiced, and very tender. 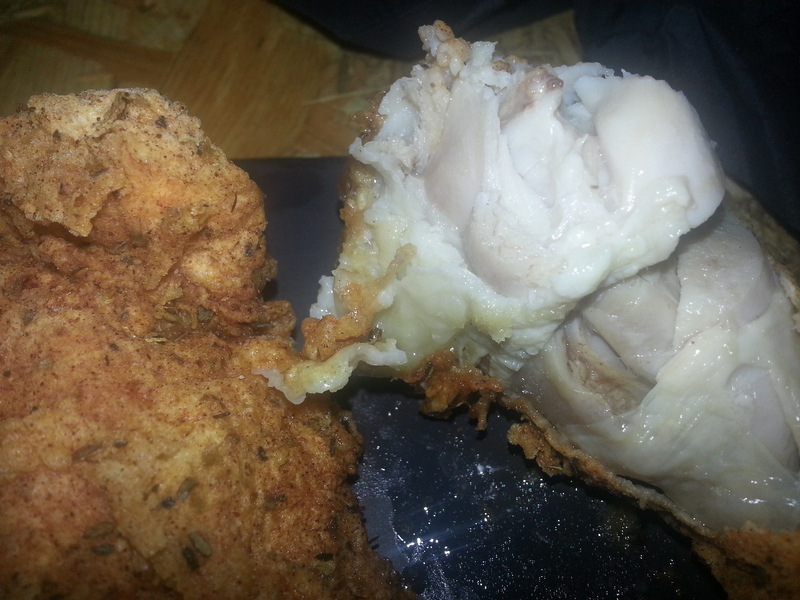 The drumstick was the only boned piece while the breast and thigh pieces were boneless. 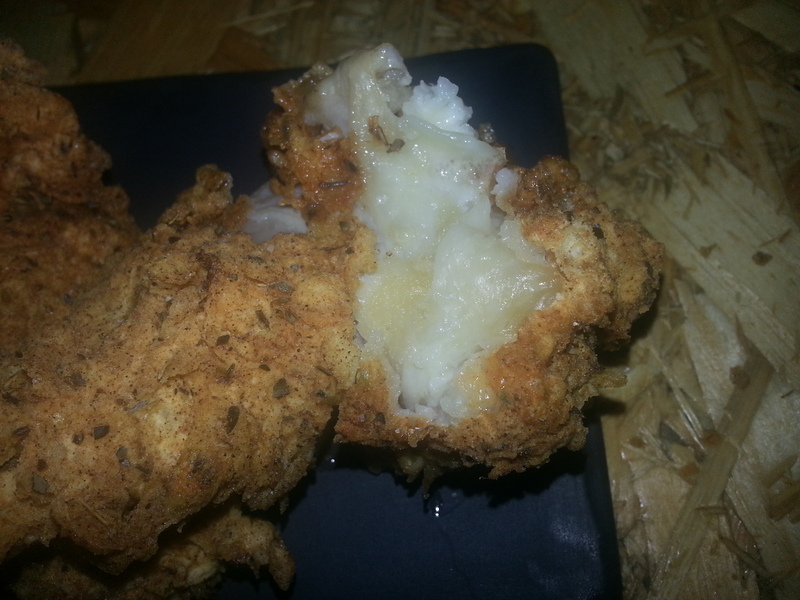 The skin was crispy and single coated. 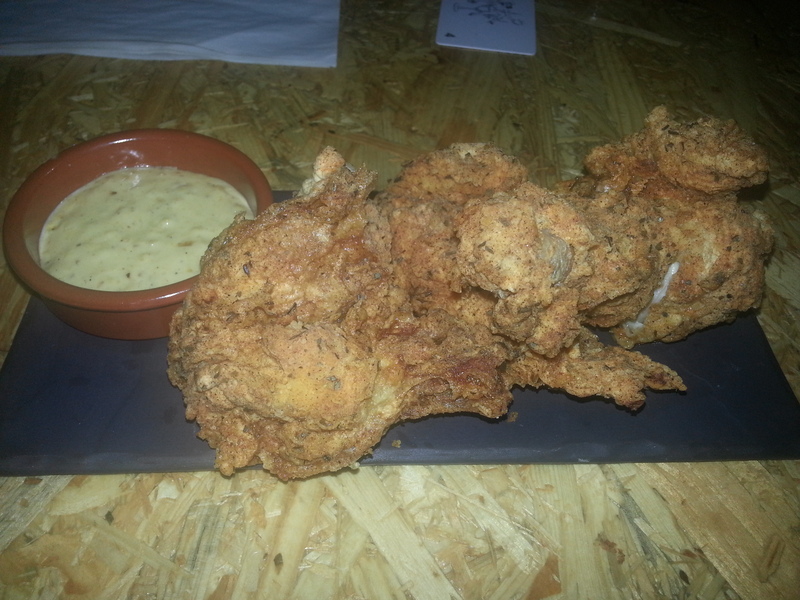 Overall the chicken was good with a good price to portion ratio and sat well with the Mo Bros however Hollywood found that it couldve been heavier with the spices and a bit extra greasy to his liking. The chips seemed reheated and weren’t that good. 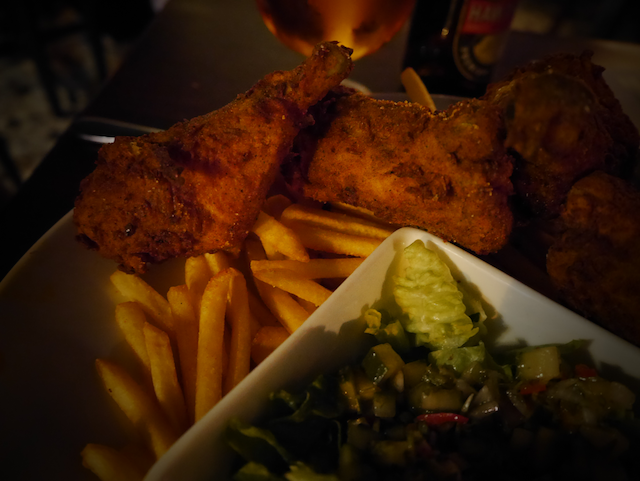 Le Joint is a really cool funky place to check out and the chicken there is good. 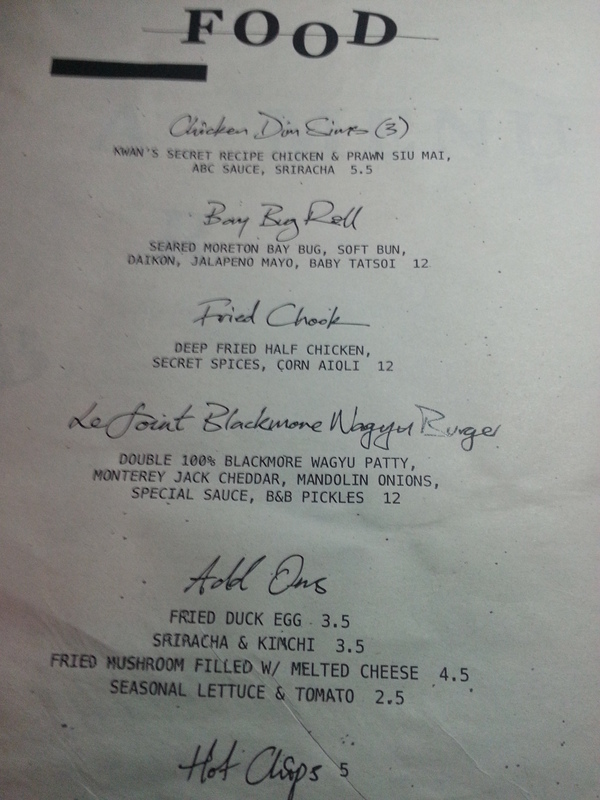 Next visit we shall try their famous wagyu burger. Extra points for the famous Zoltar.